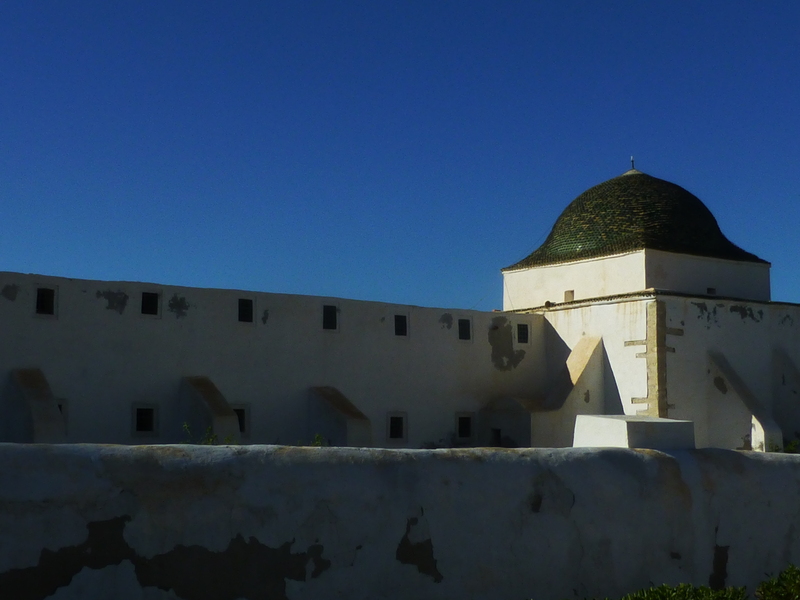 Tunisia’s Muslim identity is very evident everywhere you go in the country, but the country’s history has also been coloured by other faiths, notably the other Abrahamic faiths; Christianity and Judaism. So, in order of antiquity , we start with Judaism. 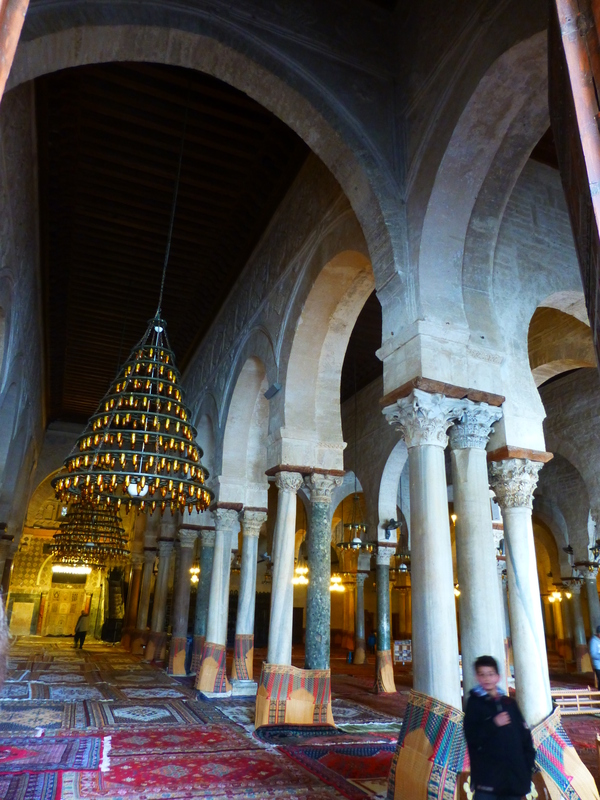 Visiting the Synagogue on Djerba Island, Synagogue La Ghriba, wasn’t on the original itinerary. We were supposed to be larking about on camels but the Man From The Ministry put paid to that. 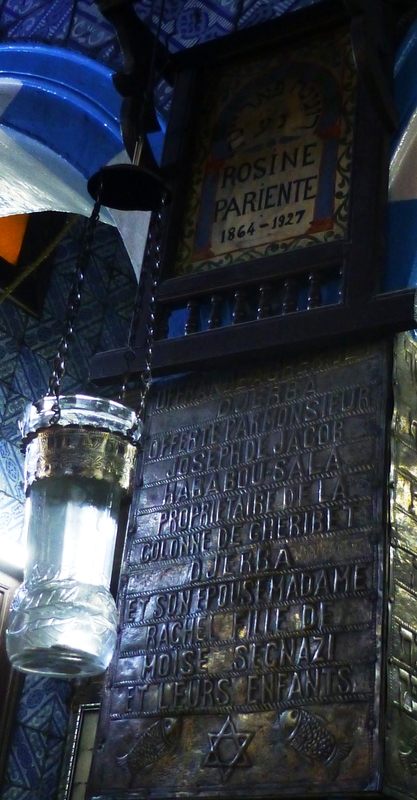 I wasn’t particularly disappointed and, for me, the visit to Synagogue La Ghriba was a bonus. 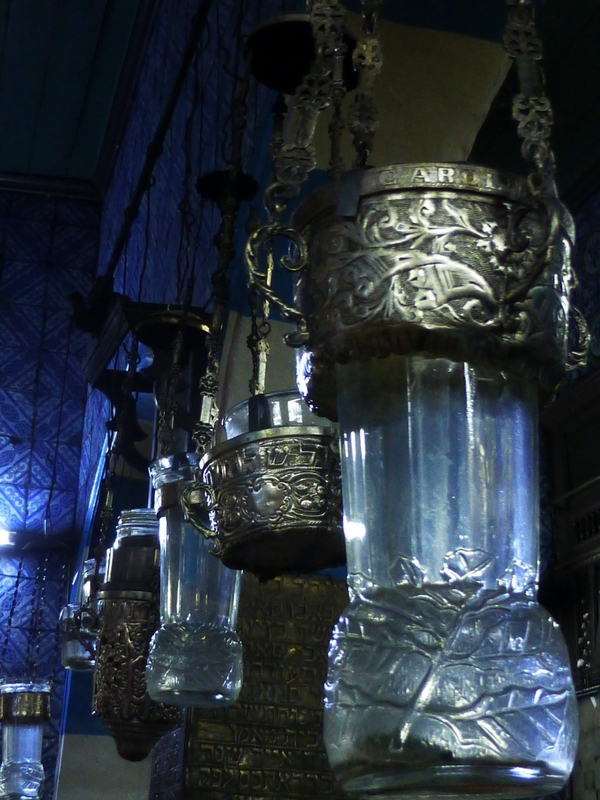 There is a long history of Jewish settlement in Tunisia with tradition dating their presence here from well before the destruction of the First Temple in Jerusalem (6th century BCE), and archaeology dating it back to at least the 3rd century CE. 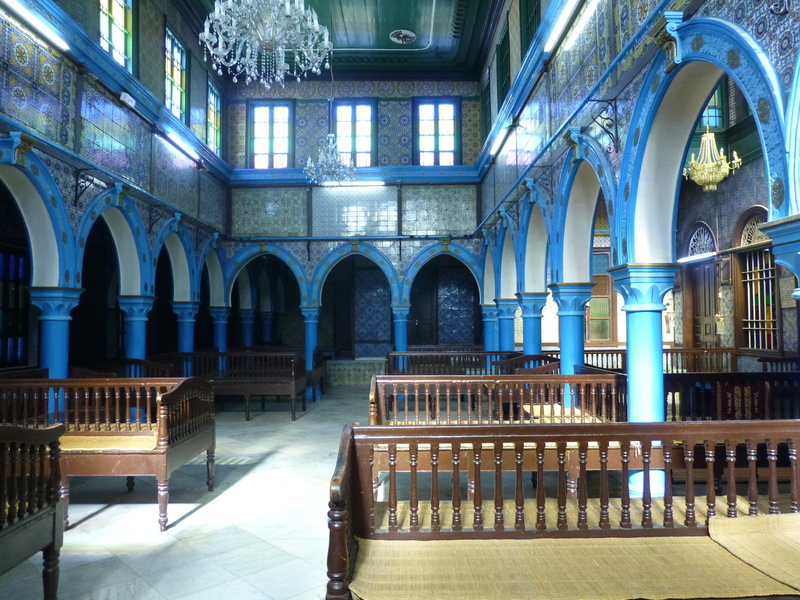 This synagogue services the small remaining community of jews on Djerba Island. This community was larger in the past, up to about a thousand people, and in general seems to have enjoyed good relations with its muslim neighbours, but many people emigrated to Israel in the 1950s and 60s and there have been issues more recently, including an Al Qaeda bombing in 2002, which killed 21 people. 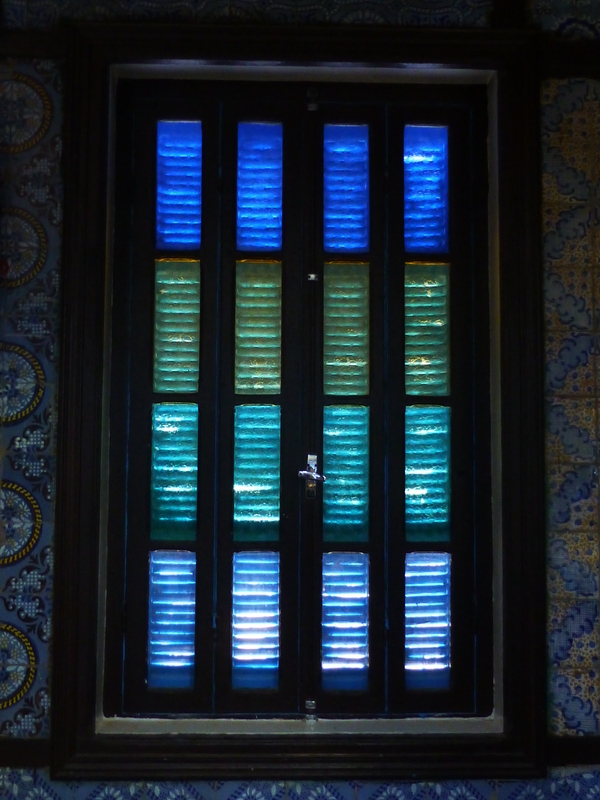 The synagogue is quite small and peaceful, typically Djerban white and blue on the outside, but clad inside with dark wood and blue tiling, and lit through jewel-coloured glass. This feels like a very personal space. Silver plaques, memorialize named individuals; lamps are dedicated to ancestors; prayers are inscribed in memory of the long-since departed. Many miles away, further north in Testour, it is possible to find another small reminder of the interaction between muslim and jew in Tunisia. On the minaret of the Great Mosque are some rather unexpected details. 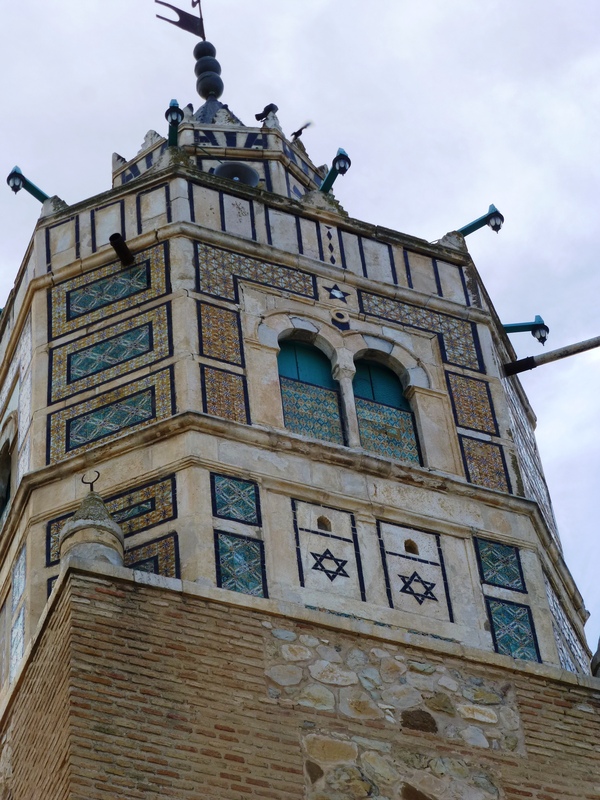 The Stars of David remind us of the unity between the muslims and jews who came to, and settled in, Testour following their expulsion from Christian Andalucia in the seventeenth century. Their shared culture, history and experiences. 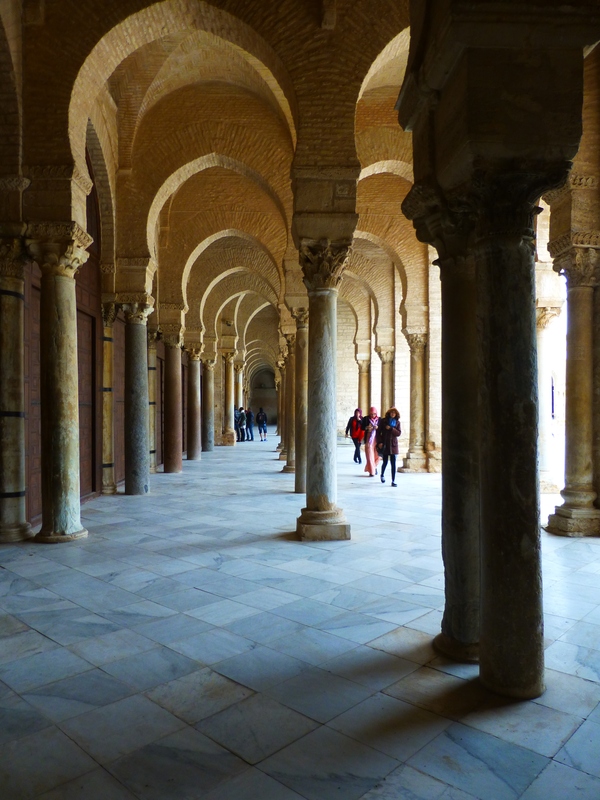 North Africa saw much of the action in the early Christian church, with several important Church Fathers being born, preaching and dying in the region; persecutions and martyrdoms, and the schisms, debates and congresses of the early Christian centuries taking place here. However, current expressions of Christianity in Tunisia seem to date more to the colonial period of the French Protectorate. 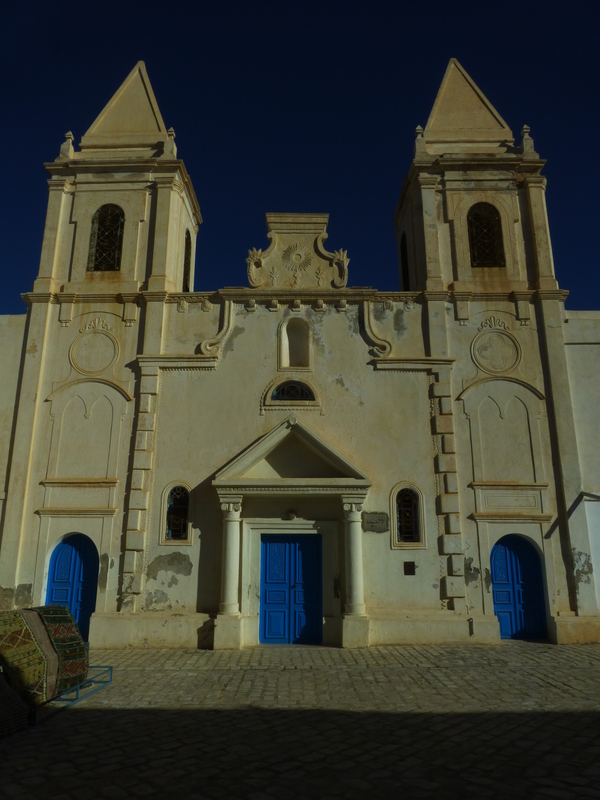 This is the Church of Saint Joseph in Houmt Souk, Djerba Island. In Sousse, however, I did find a much older Christian community memorialized. Underneath the streets of the city are huge networks of catacombs; burial places for the Christian brotherhood of Hadrumentum; Roman Sousse. 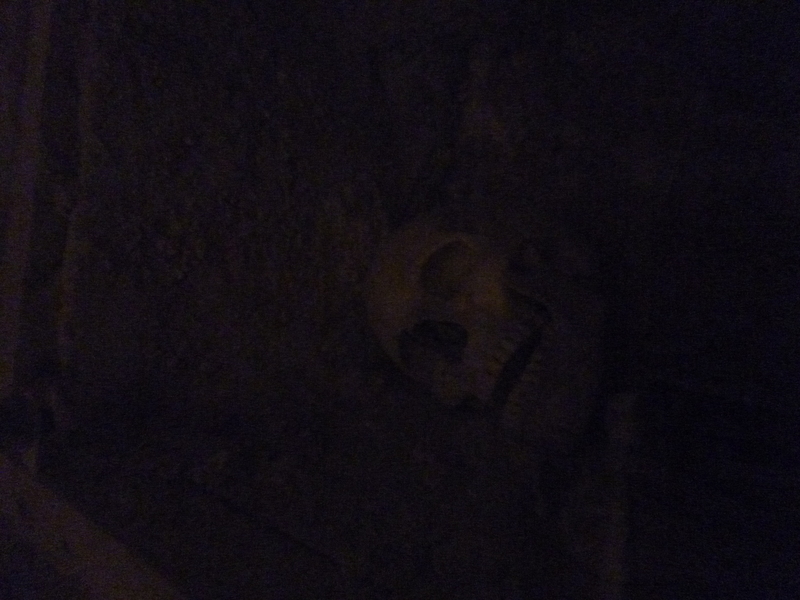 It is possible to visit a very small section of just one of the catacombs, the Catacombes du Bon Pasteur. 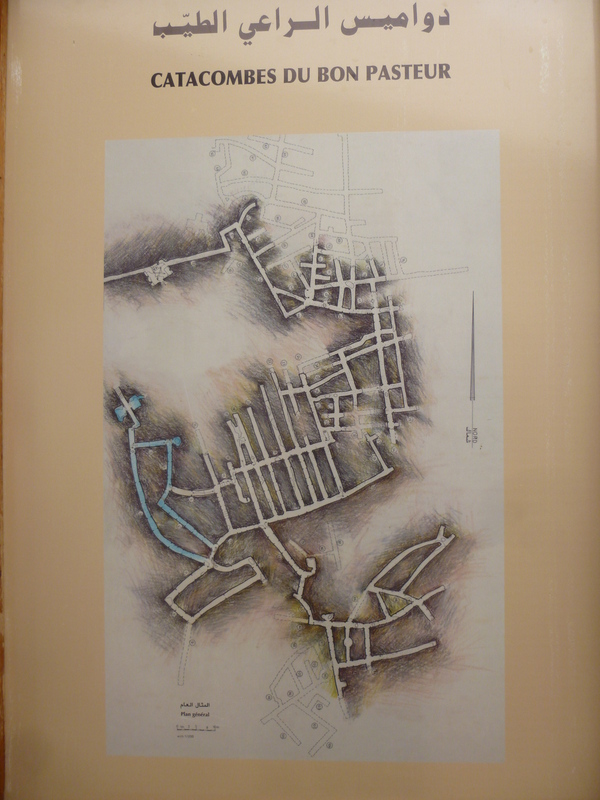 This is a plan of the Catacombes du Bon Pasteur with the accessible section coloured blue. 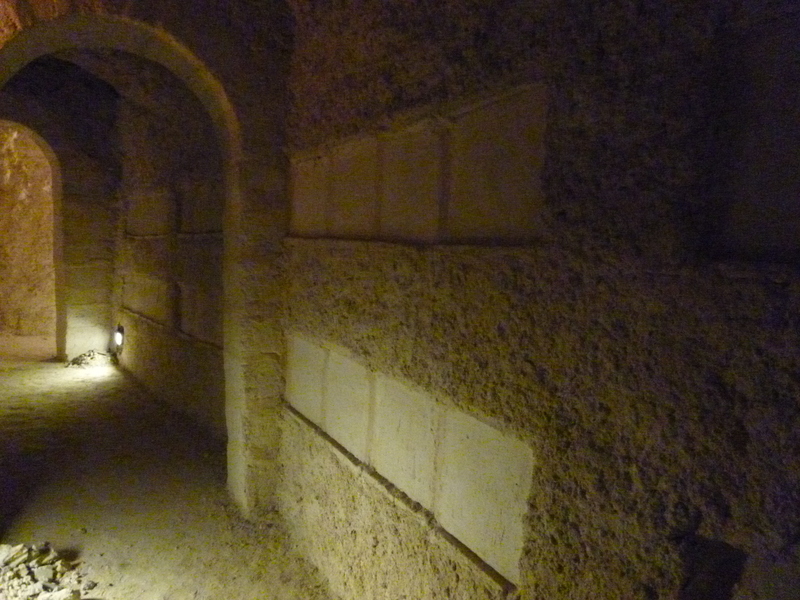 There are at least three other catacombs in Sousse of comparable size (that I’m aware of), none of which can be visited at present. A very nice lady, whose English was better than my Arabic, showed me round and pointed out a few items of particular interest. The deceased were interred in niches along the walls of the catacombs, which were then sealed up using tegulae (roman roof tiles). 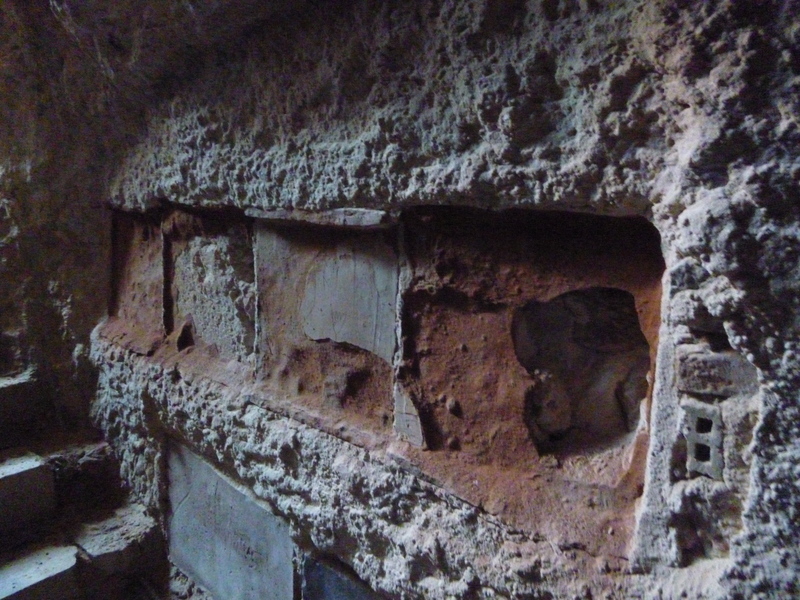 A couple of the niches had been arranged to be viewed (lit and unlit! 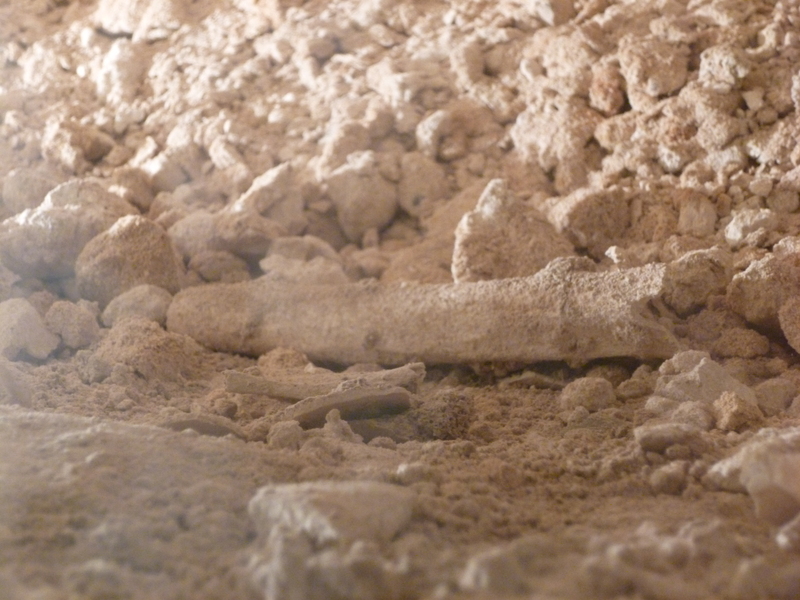 ), and still contained varying quantities of human remains. 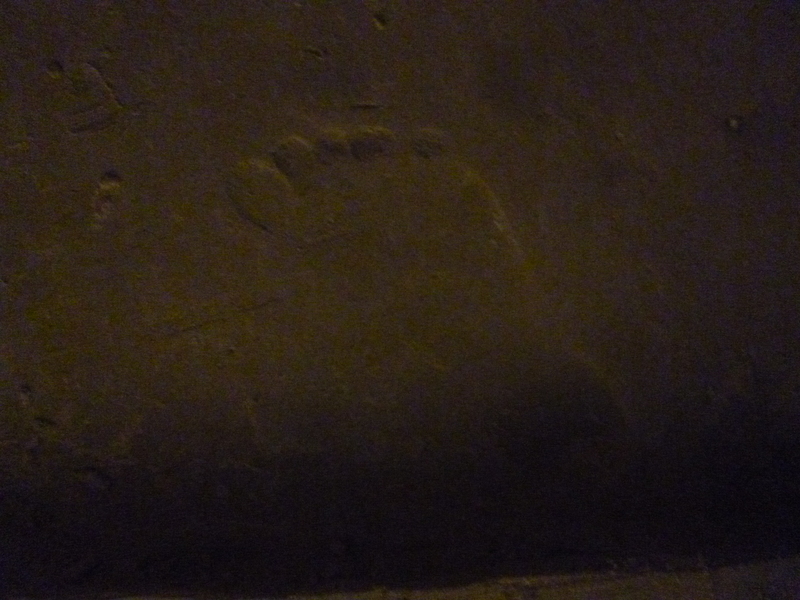 And on this one, a tiny footprint memorialized the inhabitant. Whilst wandering about the souq of Houmt Souk, I happened upon this building. A little investigation confirmed that this is zaouia de sidi brahim and it contains, amongst other things, the tomb of a local saint. It’s closed to non-Muslims, but I was content to admire it from outside. Rather than the elaborately decorated mosques we can see in places like Turkey and Syria, Tunisian mosques, and other Muslim buildings here, tend towards understatement and, other than the dome, which I particularly liked, with it’s fish-scale tiles and it’s ‘flick-ups’, this building is no exception. Many of the mosques here are based on, or incorporate, the designs and layouts of other institutions; fortresses, schools, shrines. A bonus for me is that many contain significant amounts of reused Roman material in their construction. This means that there is an interesting variety among these buildings. I had fun comparing capitals, but I’m well aware that other people may look askance at such light-heartedness. 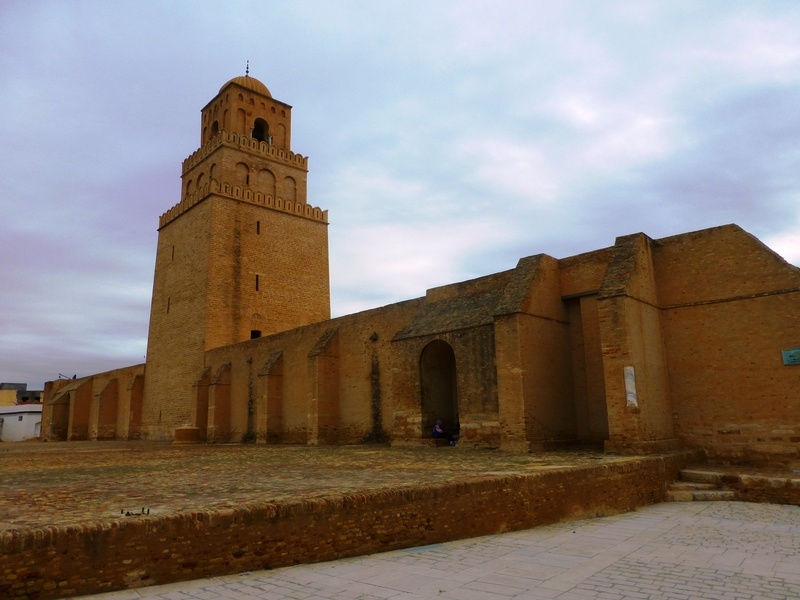 The communities which built, maintain and use these sites may belong to different religions, but they are linked by a Tunisian identity. In a country undergoing political change it is to be hoped that they can continue to co-exist and share their future as well as their past. This entry was posted in Archaeology, Tunisia and tagged Africa Proconsularis, Archaeology, Tunisia. Bookmark the permalink. ← Are you ready to rock? My jealosy knows no bounds.